With Oprah giving them her seal of approval, many women are searching for a Lee jeans outlet store near them to pick up these jeans at discounted prices. 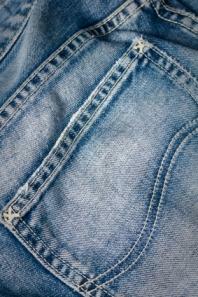 Lee has been a leading name in the denim industry since the late 1800's. Of course, at that time, these jeans were not available for women and were marketed toward men. It was way back in 1924 when the company first introduced the Lee Riders jeans and began expanding their market, but that market didn't reach women until 1947. So, if you are searching for a Lee jeans outlet and aren't having any luck, you might want to search for a VF outlet store. These stores sell many of the VF brands at discounted prices. Unfortunately, if you are looking for less expensive North Face gear (and some of it can get extremely pricey) you may be a bit hard pressed to find it at a VF outlet store. Thankfully, there are plenty of different types of styles and cuts of Lee jeans available. The easiest way to find a Lee jeans or VF Corporation outlet store near you is to visit the VF Outlet website. Type in your zip code or state and the site will pull up all the outlet stores closest to your location. There are literally hundreds of these outlet stores dotted around the nation. Sack Store - This large online outlet store specializes in Lee jeans for men. Bargain Outfitters - This is an online mega outlet store. Bargain Outfitters has a number of Lee jean styles and cuts and even has khakis. Sure, some of the items may be marked as "irregular" but many times it's just a missed stitch or something on the inside of the jean. Always give the jeans a once over before you purchase them just to make sure they aren't fatally flawed, like having one leg shorter than the other one. Jeans can be expensive, especially if you have children. Whether you are searching for a Lee jeans outlets because you are trying pinch a few pennies or you just like the satisfaction of getting a great deal (really, who doesn't love that?). There are many stores online and around the country that carry Lee jeans at discounted prices, but you really cannot beat the outlet store prices. The only down side of outlet shopping is that sometimes, it's difficult, if not impossible to find the latest styles of the particular Lee jeans for which you are searching and if you are a common size, finding it may take a little more digging through the racks. Otherwise, shopping for Lee jeans, whichwith all their new tummy slimming and no-gap waistband features, can cost upwards of $40 or more, saving a few dollar is worth all the extra digging through racks and bins.